「NBC BEAUTY SHOP」- Dr.Gs ★ Clear Nail Anti-fungal | Dr.G Kill Nail Fungus | Footlogix Anti-Fungal Tincture Spray. Dr GDr.Gs ★ Clear Nail Anti-fungal | Dr.G Kill Nail Fungus | Footlogix Anti-Fungal Tincture Spray. Received in good condition. Fast delivery & great price ! Am vhappy with the timely service. Item meets my expectation. 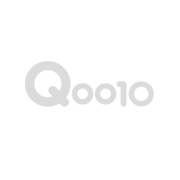 Will not hesitate to recommend friends on the product and services provided by Q0010. looks good. hope it works. Please advise expiry date for twin value pack. Hi currently bacth is 01/2018. Hi my new order no 140695487. Please send this together with my previous missing item order no 138208516 the clear nail anti-fungal treatment by registered mail. Do u sell the Dr G's cuticle healer? If not how to use the cuticle remover? Pls advise. Hi u not selling the cuticle healer? What's the cuticle remover then? How to use? I actually wanted to order the cuticle healer..
Hi Claudine, cutcile remover is to soften and remove the dead skin in cuticle area. we also have cuticle oil which is to moisturize the cuticle area to prevent dryness and wrinkles. We have cuccio cuticle remover, and for cuticle oil, we have it in both cuccio and opi brand. Hi my Order no 138208516. I would like to order the cuticle remover too, I'll select registered mail this time, can u send together with the missing item that I previously ordered together with this order instead? Hi Claudine. Yes, that can be arranged. Thank you for your continuous support. Question	Pls resend or refund! I orderded on 02 Jan 2015. Order no 138208516. I did not receive my item for more then a month and now u ask me to go holland to collect? Do u know the taxi fare to and fro my house I can buy another 2 items from u? How can u do business like that? It's not the 1st time I shop in Qoo10 I'm a VIP status ok? Pls give me your bank account I will bank in the $3 for registered mail then resend me! After I bank in I will send u the receipt. Don't give any more excuses anymore! I orderded on 02 Jan 2015. Order no 138208516. I have not received the item till now but it shows item delivered in my Qaccount orders when I did not receive the item at all! Pls resend me the item ASAP or refund me! Don't send me any more excuses as reply..
[Re] Pls resend or refund! Hi Claudine, FYI, your parcel was sent out on 03 Jan by Singpost Normal Mail. Please be informed that Singpost Normal Mail is meant to be a economic way of delivery, but may subject to parcel delay/lost. Upon opting for normal mail, buyers agree to bear liability of any delay/lost parcels. However, as our valued customer, we are willing to issue a replacement for your lost parcel out of goodwill. Please print out your order and collect the replacement from our retail shop located at: 211 Holland Ave, #02-21 Holland Road Shopping Centre, Singapore 278967. Order no 138208516. Thank u for yr reply. Yes my address is correct. Dear Claudine, thank you for contacting us. If the address is incorrect, the parcel will be bounced back to us. As of now, we are yet to receive any bounced back mail from your address. Since Singpost normal mail doesn't offer tracking number, we are unable to assist in tracing the parcel. It might be delayed/lost by Singpost which is beyond our control. Let's hope it is not lost by Singpost, and gets delivered to you or bounced back to us. As always, we highly recommend to choose Singpost Registered Mail to avoid such delay/lost.